QUIZ: Can you name Liverpool's 31 injury-time winners in the Premier League? QUIZ: Can you name Liverpool’s 31 injury-time winners in the Premier League? Divock Origi‘s injury-time winner in the Merseyside derby was Liverpool’s 31st in the Premier League—more than any other club since its inception in 1992. Origi wrote his name into Anfield folklore when he capitalised on Jordan Pickford’s miserable error to head home and make it 1-0 in the 96th minute. It was the Belgian’s first goal for the Reds since the end of the 2016/17 campaign, with Jurgen Klopp insisting this marked the closing of a difficult chapter in the 23-year-old’s career. 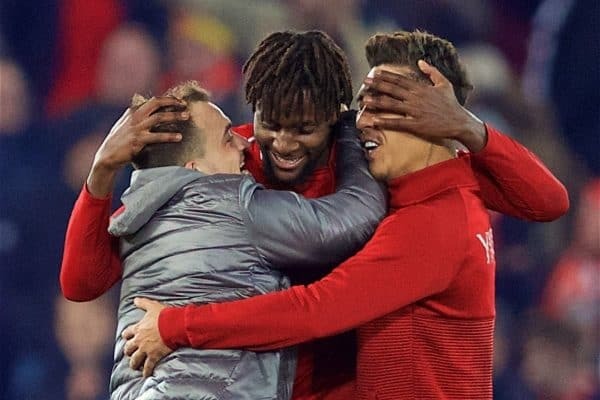 Regardless of his future, Origi can now count himself among a host of injury-time heroes on Merseyside, with 31 winners scored after 90 minutes since the Premier League began. Those came from 25 different players, including two own goals which we’ll give you—but how many of the others can you remember? You have eight minutes – try and name as many injury-time winners as you can. * Data courtesy of Liverpool statistician Ged Rea (@ged0407).